As a world leader in permanent marking, Telesis engineers TeleScribe® marking systems to accommodate the high mechanical stresses of the application while delivering optimum legibility of the marked part. 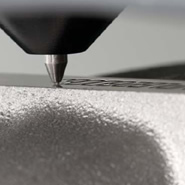 All TeleScribe® systems utilize high quality rails and bearings to assure precise, repeatable pin positioning - ensuring consistent appearance of the mark from part to part. The state-of-the-art servo-driven SS3700/470 Telescribe® Marking System provides permanent low-noise marking at speed/depth combinations not previously attainable. Virtually silent, the SS3700’s robust X/Y platform provides an ample 6” x 2” (152mm x 51mm) marking window, making it the optimum choice for many both manual and automated VIN marking applications. The powerful, extremely heavy-duty Telescribe® SC5000/470 is the right choice when deep, low noise marking is required. It is especially well-suited for VIN (Vehicle Identification Number) marking applications. Engineered with high-performance servo motors, this unit is ideal when you need extra speed for reduced cycle times. 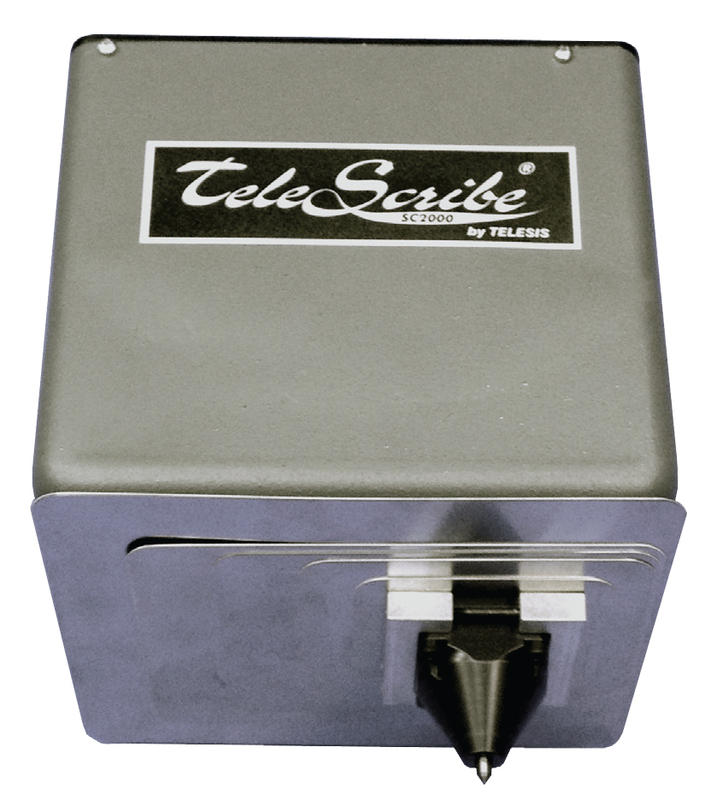 Virtually silent, the economical Telescribe® SC3500/470 inscribes high quality, continuous line characters in most metals and plastics. It is well suited for a wide range of automated on-line and stand-alone bench top applications. The SC2000/470 & SC2500/470 Telescribe® Marking System provides permanent low-noise marking in a more compact footprint. The SC2000/2500's robust X/Y stepper motor driven platform provides an ample 2.95" x 1.57" (75mm x 40mm) marking window, along with a wide selection of marking pins make it an excellent choice for many manual and automated marking applications, especially those with speed/depth requirements beyond those of traditional stepper motor-driven designs.